In this chapter, we consider the relationships between social identity and e-democracy in organizations that exist in the constantly changing global business and technological environment. We also consider the inevitability of organizational e-democracy in organizations undertaking information technology (IT) changes, the technology at the base of e-democracy. Through an examination of employees’ experiences of change, we investigate their perceptions of changes in effective communication during major organizational change implementation in a hospital context. While the changes were far reaching, we mainly focus on the introduction of information and communication technology (ICT). We use an empirical examination of an Australian public hospital’s IT change experience as the backdrop to assess the accuracy of the statement that there is an improvement in the autonomy within organizations as a result of IT changes. 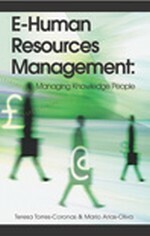 We discuss our findings in light of the implications that arise for HR practitioners.